Stock Number: S1021C, Price: $ 150.00. 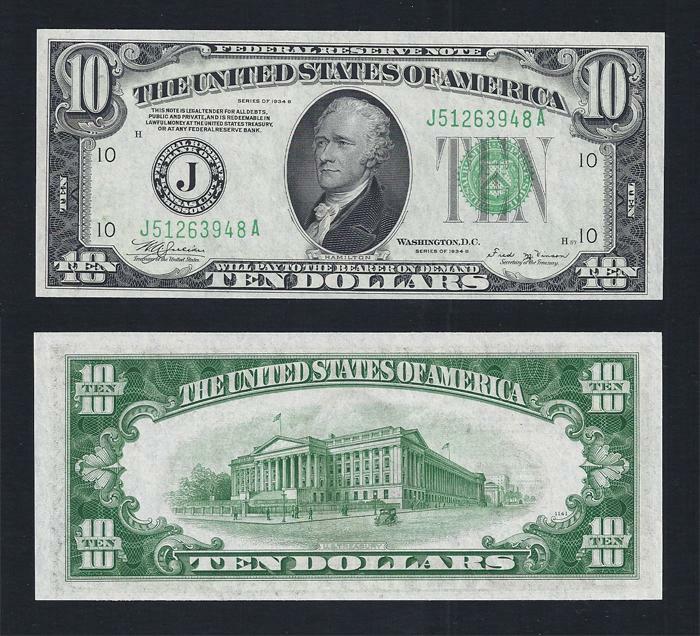 $10.00, FRN, Series of 1934B, Fr. # 2007-J, Serial Number J51263948A. CHOICE UNCIRCULATED. Bright white-type paper is a mark of this Kansas City Fed. The centering is off, more so on the back than the face, so it is graded Choice Uncirculated.